Travis Knight takes over for Michael Bay in the director’s chair while allowing Bumblebee to become the best live-action Transformers movie in the franchise. Once upon a time, Bumblee (Dylan O’Brien) had a voice. This was some thirty years before the war between the Autobots and Decepticons restarted on Earth. Years before Chicago got leveled because there’s some sort of obsession that filmmakers have with destroying the Windy City. Years before a Transformers film became the best King Arthur movie of the year when an actual King Arthur film came out some months prior. The film starts out on Cybertron where Optimus Prime (Peter Cullen) leads the Autobot Resistance against the Decepticons. When he fears that they’ve lost their planet, he orders B-127–best known to us as Bumblebee–to protect Earth so that they can regroup. Sector 7 agent Jack Burns (John Cena) was leading a routine training exercise. It was as routine as one could be until fire starts falling from the sky. Lo and behold, Bumblebee lands on Earth in the worst possible place that he could. The results couldn’t be more disastrous and Bumblebee goes on the run, only to find himself in an epic fight with Blitzwing–a fight that brings some unfortunate results but Bumblebee soon disguises himself as a 1967 Volkswagen Beetle. When we meet Charlie Watson (Hailee Steinfeld), she’s the typical teenager full of angst and not over the death of her father. Her mom, Sally (Pamela Adlon), may have moved on and remarried Ron (Stephen Schneider) but Charlie’s not there. She has the mechanic genes that she got from her late father and when she’s not working on a car, she’s getting parts at Uncle Hank’s if not working the hot dog stand at the amusement park. Seeing this rusty old Beetle at Hank’s, Charlie manages to take it home for her 18th birthday. Little does she know that she’s about to meet her new best friend. She’s also about to send the Decepticons to Earth but she doesn’t know that at the time. Meanwhile, her co-worker, Memo (Jorge Lendeborg Jr.) doesn’t know what he’s about to get himself into. When the Decepticons finally arrive on Earth, the people at Sector 7 don’t know enough to tell the difference between good and evil. Burns may not be one to trust either but that doesn’t stop Dr. Powell (John Ortiz) from handing them over every recourse that the United States has to offer in their search for B-127. Though General Whalen (Glynn Turman) may have his own agenda, he keeps it to himself until just the right time. This doesn’t stop the damage from happening though. There’s still some fights on Earth because of course there is. But there’s something different about this film. We don’t have cities like Chicago getting leveled just for the sake of massive destruction. Speaking of, there’s enough self-awareness in Bumblebee–or foresight on the part of Burns–to realize that Chicago could fall someday if we put our trust in the wrong people. The audience already knows more than the people in the film do so this gag is merely fan service at best. Travis Knight taking over the director’s chair from Michael Bay turns out to be the best thing ever. I say this because this film has a lot of heart. There’s more heart here than perhaps any of the recent Transformers films no matter how heart they tried. Some credit for this should go to screenwriter Christina Hodson and an uncredited Kelly Fremon Craig. While there are certainly laughs during the film, it’s none of the cringe-worthy kind. Not by a long shot. There’s so much to love about this film, especially the chemistry in the performances between Steinfeld and Lendeborg Jr. Her performance in Edge of Seventeen already showed that she can lead a film but this film shows she can lead an action film, too. Granted the audience is already here for the robots but the rising star is going to be around for some time to come. This isn’t a John Hughes film by any means but there’s a fun tribute in the film. It’s not just the appearance of Simple Minds’ classic anthem, “Don’t You (Forget About Me)” but there’s a great homage to John Bender, too. Is this Bumblebee’s way of telling Charlie not to forget about him? It’s certainly arguable. Though one could also see this film as a mix between E.T. the Extra Terrestrial and The Iron Giant with just enough heart and soul that a John Hughes film can offer. Paramount Pictures opens Bumblebee in theaters on December 21, 2018. 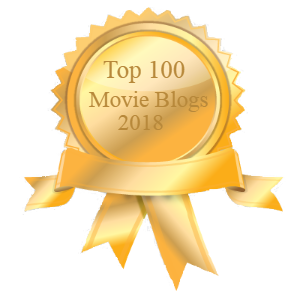 The post Bumblebee: The Best Transformers Movie By Far appeared first on Solzy at the Movies.